ANT-Hiroshima is an NGO based in Hiroshima, Japan, that pursues projects in international cooperation, international peace-building, and peace education. The organization grew from a volunteer group established by Executive Director Tomoko Watanabe and was later renamed Asian Network of Trust (ANT) Hiroshima. The work of ANT-Hiroshima is motivated by Hiroshima's experience and memory as an A-bombed city. Like ants, we may have little power alone, but by working together with other organizations and individuals from across the world, we believe peace in the world can be achieved. With the message and spirit of Hiroshima in our hearts, we move forward in our efforts. Born in Hiroshima in 1953. The managing director of a law firm, she is involved in various civic activities in the areas of community development, international cooperation, peace studies, and peace and cultural exchange. Since the founding of ANT-Hiroshima in 1989, she has promoted Hiroshima's message of peace and lent support to Afghan refugees and earthquake victims in Pakistan. In addition, she develops original peace-building activities and holds sessions on multicultural understanding and peace education, geared for Hiroshima citizens and children, as well as international trainees visiting Hiroshima. 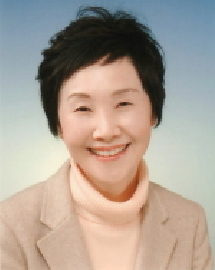 She serves on the board of directors of the Hiroshima Peace Culture Foundation and other organizations and was formerly a member of the Hiroshima municipal board of education. Within a 15-minute walk from both JR Hiroshima Station and Hiroshima Bus Center. We are located on the 5th floor of the building between the Hiroshima Pacific Hotel and 7-Eleven (convenience store). * Cars - No parking available. Please use a nearby public parking lot. * Bicycles - Please use the area for bicycles at the rear of the ground floor of our building.